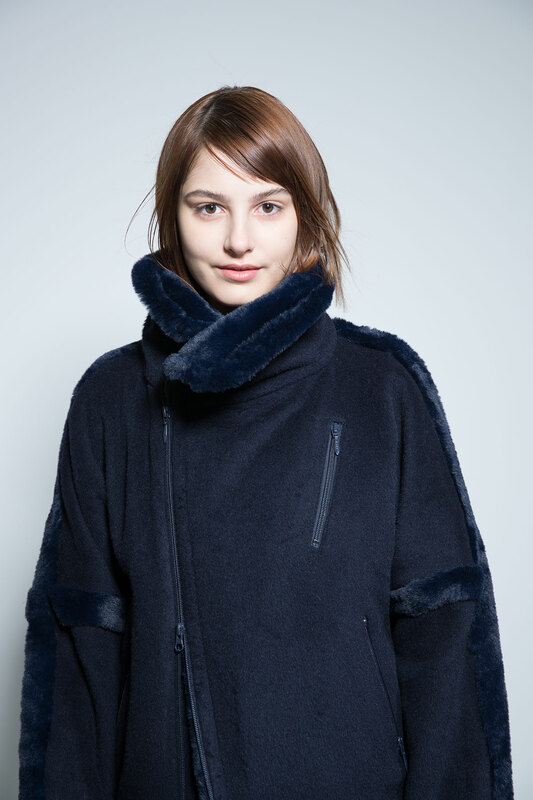 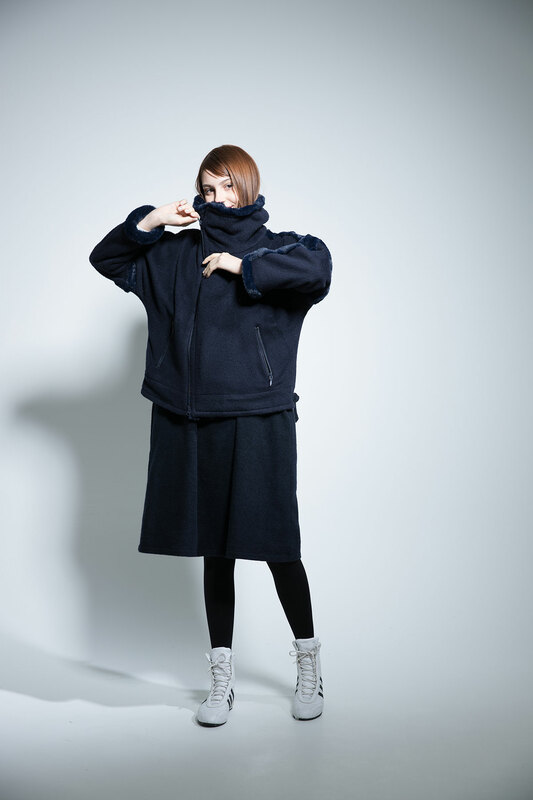 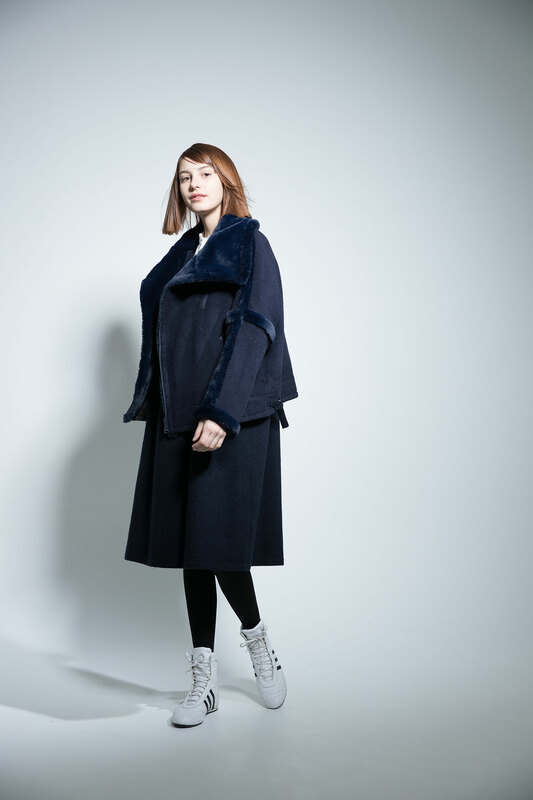 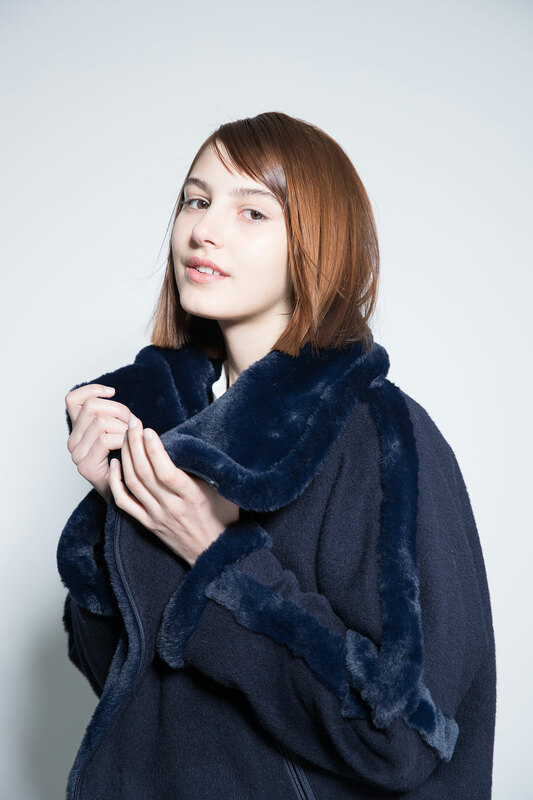 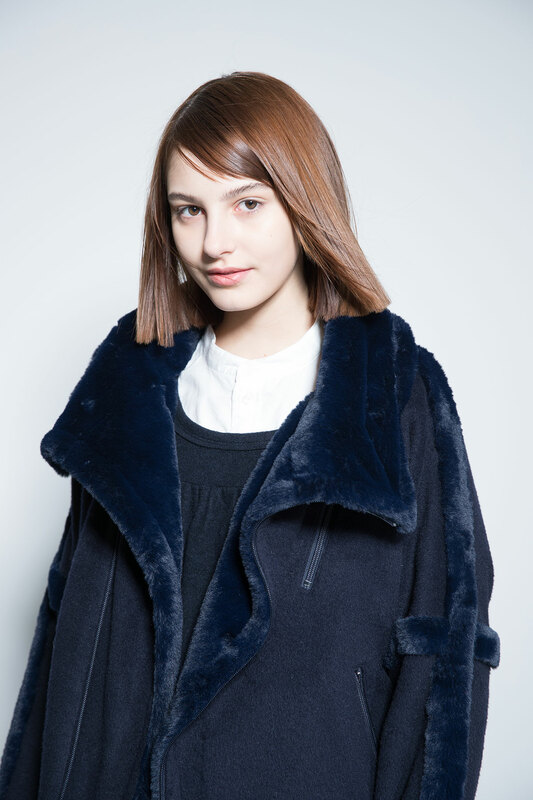 Bomber jacket in navy 65% wool/ 20% nylon/ 5% alpaca/ 5% mohair shaggy combining navy 100% polyester microfiber fake fur on the back of collar and the facing of front, as well as seam lines. 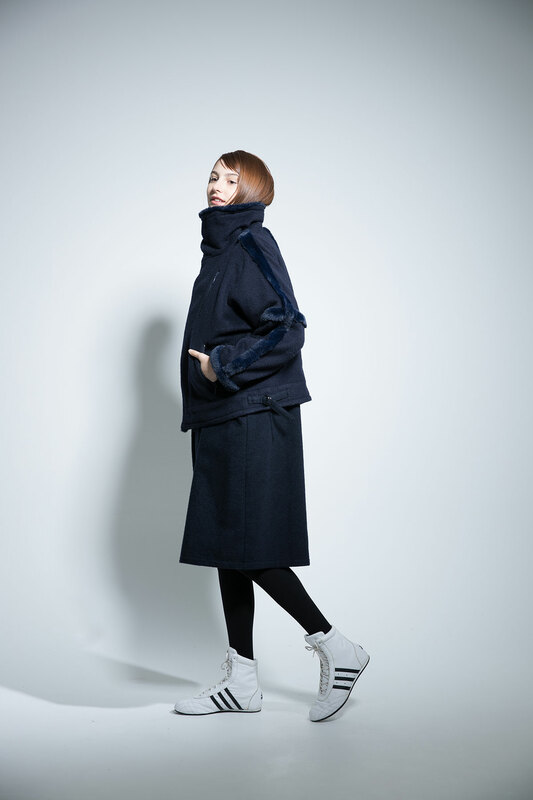 Band collar shirt in white 100% organic cotton oxford. 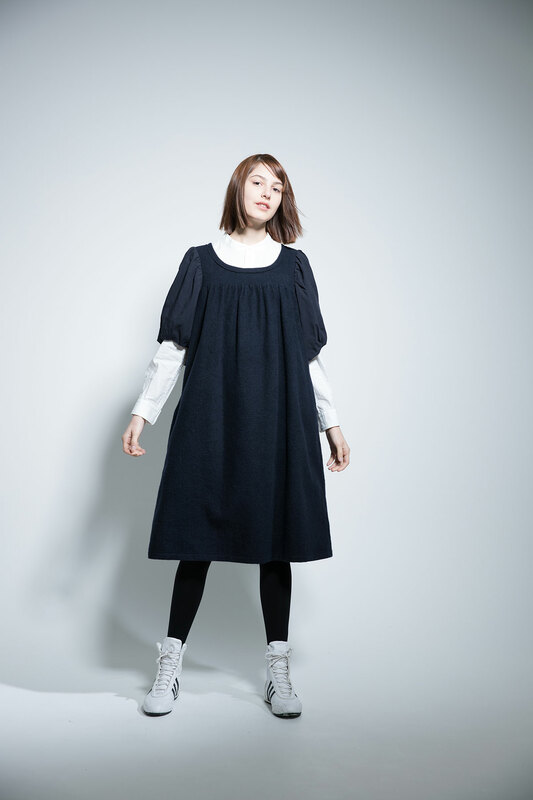 Round neck gathered dress in navy 88% wool/ 10% nylon/ 2% other light flannel combining very soft navy 100% tencel and light machine washed poplin on the sleeves.